All of these chocolates are prepared by one of the most famous Chef in Bangalore City. Buy Homemade Chocolates Online at Foodzu and get attractive discount on every purchase. Chocolate is the ultimate comfort food, in times of stress, a reliable source of consolation and a mood-enhancer. However, whether chocolates are healthy? dark chocolate with a high cacao content is additionally a nourishing treat since it’s filled with healthy antioxidants. However finding pure dark chocolate without any unnecessary additives will be a real struggle. A wide array of Homemade chocolates produced globally and the Foodzu online stores give you the chance to choose your favorite homemade chocolate at cost-effective prices. If you’d like to enjoy a delicious healthy chocolate that’s actually good for you and your family, why not you try buying healthy Home Made Chocolates? Choosing the premium quality of home made chocolates can be a difficult task. To the enrich your shopping experience Foodzu online grocery store in India will serve you with a wide variety of homemade chocolates at cost price effective. Buy premium quality of Homemade Chocolates Online at Foodzu online grocery store in Bangalore and get the product delivered right to the doorstep. 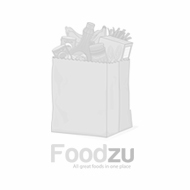 Relish the simple and relaxed way of online grocery shopping in Bangalore from top brands at less than MRP at Foodzu.